For this post (and perhaps the next): a little slice of home town life. 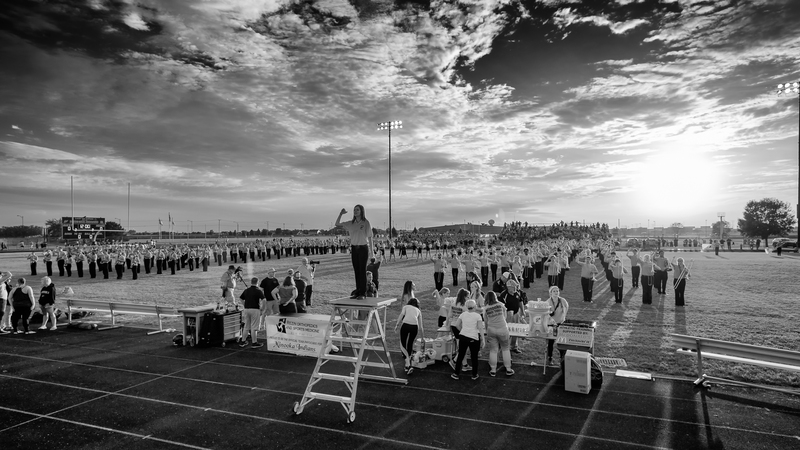 As Summer makes preparations for Fall to arrive, and school hallways are filled with students, the fields come alive with football teams and, our favorite, marching band! This was taken at tonight’s home opener. It is senior year for our youngest son and we are looking forward to a great year of Friday night games and competitions. Here, we only ever see marching bands in official parades. It’s much more common in the US, almost like a sport. Our oldest son was in band as well and we are totally band geeks. Anything you can learn on a sports team regarding teamwork, discipline, trust, etc., you learn in marching band. The competition schedule is fun too.